BOARD is listed among the best CPM Software products and the best BI Platforms Software due to its customer satisfaction (based on real user reviews) and market presence ratings. BOARD International, the world’s leading supplier of enterprise decision-making software, has been identified as one of the best software providers both in the Corporate Performance Management (CPM) and Business Intelligence spaces, based on its high levels of customer satisfaction and likeliness to recommend ratings from real users on G2 Crowd, the world’s leading business solutions review website. “We at BOARD are very proud to be included by G2 Crowd in its Grids for BI and CPM solutions” said BOARD CEO and Co-Founder Giovanni Grossi. "We believe our positions in these global reports confirm BOARD’s strength and rapid growth in the Corporate Performance Management market, a business domain that is increasingly important for organizations to stay ahead. Indeed, this international recognition successfully demonstrates how BOARD is addressing strategic, financial and operational planning and analysis through a single decision-making platform. "- added Mr Grossi. 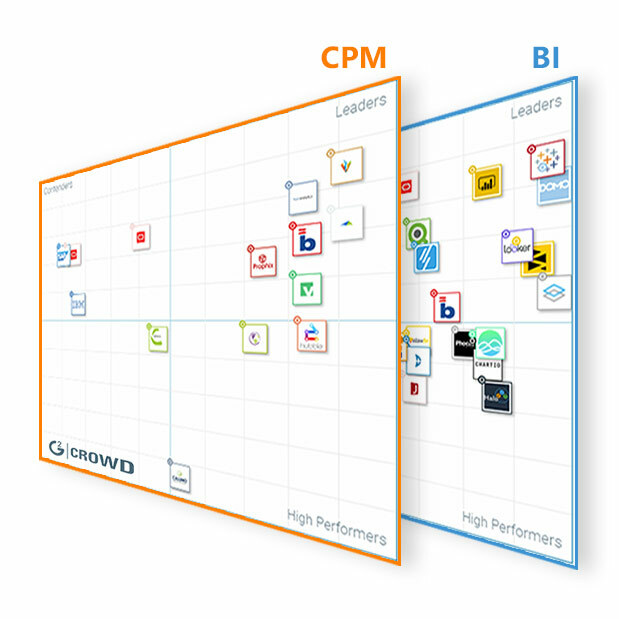 BOARD achieved the Leader position in both G2 Crowd Grids due to BOARD’s positive reviews, written by verified users, as compared to similar products in the BI and CPM categories. Click here to have a look at the CPM Report and here to see the BI Report; and learn more about what real users have to say about BOARD. If you are a BOARD user, you can also leave your own review on G2 Crowd’s BOARD review page!